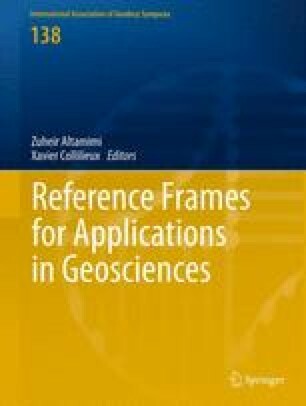 IGN and DGFI both generated realizations of the terrestrial reference frame under the auspices of the IERS from combination of the same space geodetic data. We compared the IGN and DGFI TRFs with a GSFC CALC/SOLVE TRF. WRMS position and velocity differences for the 40 most frequently observed sites were 2–3mm and 0.3–0.4mm/year. There was a scale difference of −0.39/−0.09ppb between the IGN/DGFI realizations and the GSFC solution. When we fixed positions and velocities to either the IGN or DGFI values in CALC/SOLVE solutions, the resulting EOP estimates were not significantly different from the estimates from a standard TRF solution.